2010 hasn't been the best of years. Since returning from France at the beginning of November for the holidays it's been hard to find anything of note to be joyful about. The weather has been grimly cold, one ambition after another has been thwarted and I haven't been able to find any hope in my usual lifelines of seeds or plans for the garden. Frankly I'm at the bottom of a very deep well of despond. I came across this book while doing the xmas shopping on Amazon and immediately added it to my own wish list! It was very good to receive it at our delayed family festive gathering. And it's been a welcome reminder of the warmer seasons. 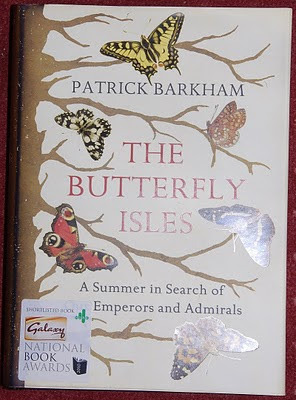 Patrick Barkham has accurately captured the sights and smells of the countryside and the hopes and trials of the pursuit of butterflies. His book has transported me back to happier times, promised that the sun will return and with it has given me hope that there is something good to look forward to. 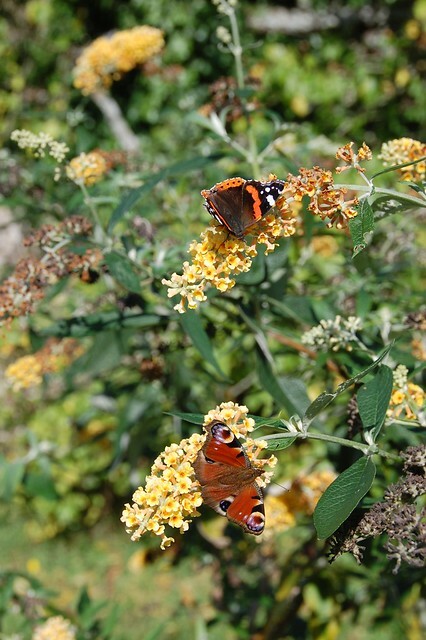 It's not a learned treatise, not really a text book of butterflies, sometimes rambling but the geeky quirky premise of tracking down all the native British butterflies in the course of a year is carried off with chatty aplomb. It includes useful snippets about food plants and habitats, some biological facts I had no idea about, for example that some butterflies make their own scent; smelling like flowers to attract mates, and some history of the butterfly collectors, a bizarre collection of eccentrics who have set the tone of butterfly conservationists to this day. My only real criticism is that the pictures aren't great. There are a few plates of standard identification examples which are pitifully small (and look a bit blurry to my tired eyes) and another few pages of the author's own photos. I know I shouldn't be harsh, it's exceptionally hard to get butterflies to pose for beauty shots but these aren't great photos, more snapshots of the expedition, useful for historical reference but not enough for lust. No matter, there are many many photos on the internet and it's easy enough to find sharper images of anything that catches your imagination. So after months of despair I feel like I'm emerging from my chrysalis at last, letting my wings dry and expand and with them regaining some ambitions for the year to come. We have Marsh fritillaries in the Forest, I may even have seen them but never tried hard enough to get a proper identification. It's time to learn to distinguish the various white butterflies and name them in our records. There are Purple Emperors to track down and numerous little brown jobs that remain tantalisingly elusive. I may yet have a plan. sorry you have been down - i too find the gloomy days lower my mood. at least the days are going to start getting longer now. did you take all those pictures yourself? they are beautiful!! wish you a great year ahead! ps: i am just blog hopping. and i love your blog! I, too have been down. I will get that book. I love Butterflies! Great photos! One definately needs something to take the mind off the weather, and to make one look forward to something. Its difficult enough, this time of year, but your butterfly book sounds just right! Have you read any of Marion Cran's books, out of print but to be found on the internet? Even though I can't get excited about my garden, she somehow makes the spring appear nearer, to me.